Christmas is just around the corner! If you’re like me, there are still a few names to cross off your Christmas gift list, but don’t fret! I’m sharing 10 of my favorite Great Last Minute Gift Ideas to help find the perfect present! This post is sponsored by Cracker Barrel Old Country Store. All opinions are 100% my own. The holidays are always hectic at my house. Between work, school finishing up, and family getting into town, it can be hard to find time to get all the Christmas shopping done. I try to stay ahead of the game, but there are inevitably a few last minute gift needs that come up every year. Thankfully Cracker Barrel has some great last minute gift ideas to help save the day! My husband and I love Cracker Barrel stores. We used to go in for lunch back when we lived in Arizona. Now that we’ve moved to Portland, I still find my favorite Cracker Barrel items online, and with their shop selection, I know I’ll always find great holiday gifts my friends & family will love. Cracker Barrels stores are located along many of the major freeways all over the country. If you’re road tripping for Christmas with the family, be sure to pull over to get some breakfast, lunch, or dinner and do some last minute shopping at the store! My husband is surprisingly easy to shop for, thank goodness, but I still like to get him something he didn’t ask for each year to surprise him. These are a couple of my favorite gift ideas for him. I don’t know a guy around (big or little) that doesn’t want a drone for Christmas. 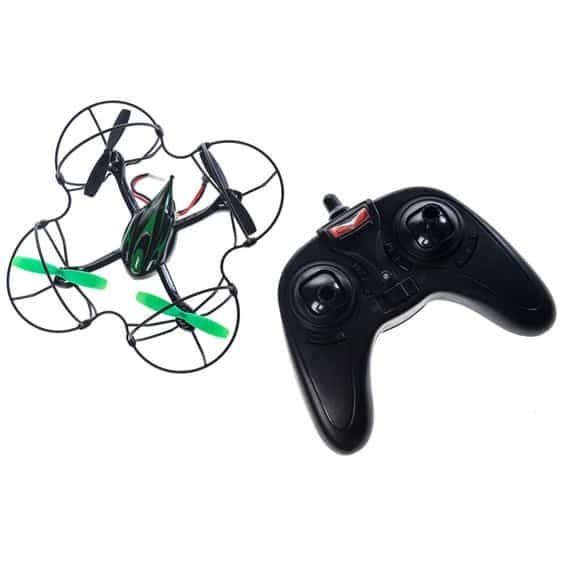 This Quadrone Remote Control Drone can do all the cool tricks he wants with its 360-degree flips and ability to fly up to 100 feet! He’ll be playing with this toy for hours, so be sure to buy plenty of batteries! Even in the winter, we spend a fair amount of time grilling. There’s something so delicious about foods cooked over an open flame. 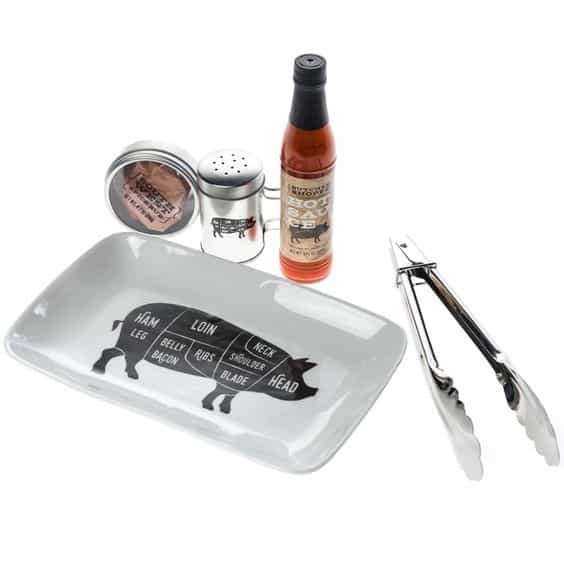 The grill master in your life will love this Butcher Shoppe BBQ Gift Set, complete with a pork cuts ceramic serving tray, a bottle of hot sauce, a Southwest spice rub, a spice shaker, and tongs! Trying to find a great gift for your significant other or favorite gal pal? This idea will make you her favorite gift giver this holiday season! I love functional gifts that are cute too, and this Jewelry Holder Wall Decor is just that! 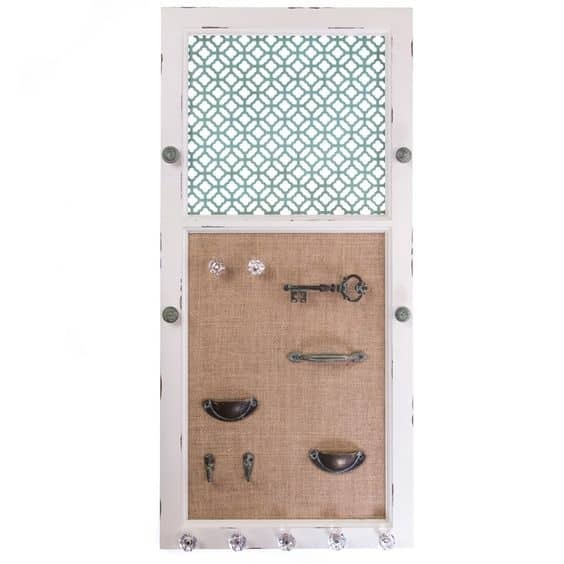 Your jewelry will stay organized with this shabby chic addition to any bedroom or closet. The antique-inspired drawer pulls make great necklace hangers and ring bowls that will make her smile every time she puts on her favorite accessories. Inspire creativity in the girls in your life with these fun gift ideas that will let her express herself and dream up all kinds of fun! When I was little I loved pretending. I was everything from a doctor for my stuffed animals to a baker of the best pretend cakes around. 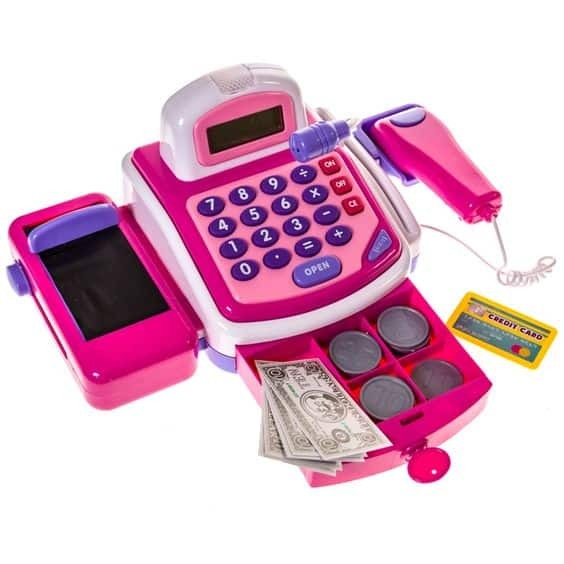 This Butterflies™ Cash Register is a fun way to let your favorite little girl sell her latest drawings or run her own store! 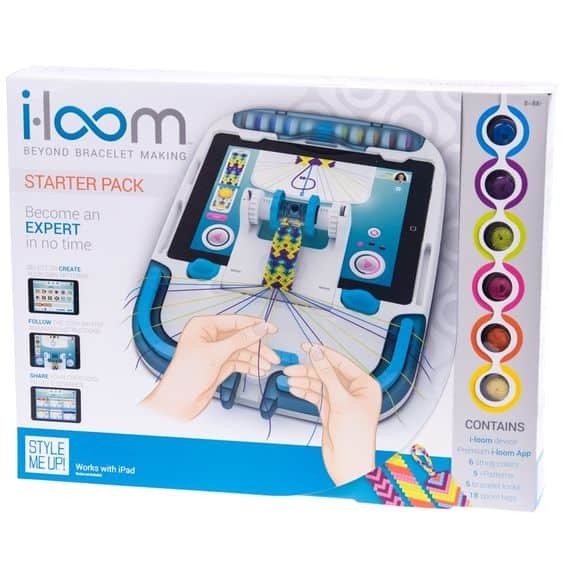 This iLoom Bracelet Starter Kit is perfect for the creative spirit in your life. Girls can make all kinds of cute bracelets to give to friends and family. She’ll just need to grab an iPad and follow along with the step-by-step tutorials to make the perfect accessory! I love finding gifts that let my boys have fun and invoke some of my favorite childhood memories. These toys are sure-fire hits for the little guy in your life! Oh my gosh you guys! When I was a kid I LOVED Pac-Man!! It’s such a classic game and everyone adores it. 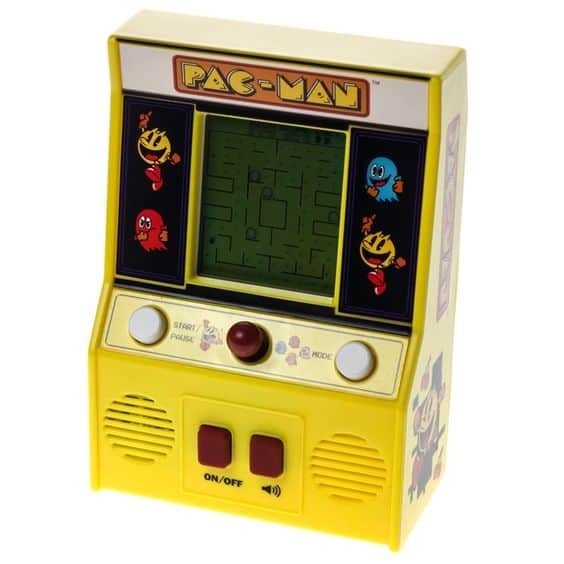 This Pac-Man Mini Portable Arcade Game is a perfect stocking stuffer for the little guy in your life! His eyes will light up upon seeing the vintage look of this game, complete with authentic arcade sounds and an arcade style joystick. 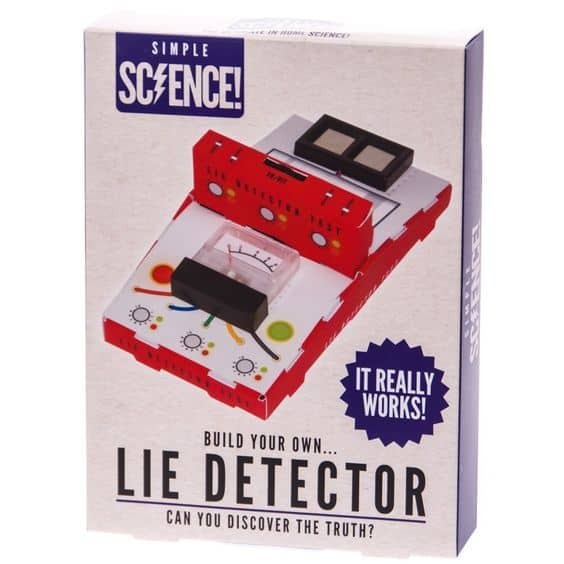 Every boy I know would go bananas over this Build Your Own Lie Detector Kit. What boy hasn’t played cops & robbers or wanted to get the truth out of their brother or sister about who really ate the last cookie? This toy is fun to build, and fun to use…just be ready to be put to the test once it’s up and running! With holiday parties dotting our December calendar, I like to make sure a have a few great host/hostess gifts on hand. This gift is one that can be enjoyed year-round and will remind your giftee of your friendship for years to come. Going to the homes of friends and family is one of my favorite holiday activities. Not being the one to plan, cook, and cleanup is always a nice treat. 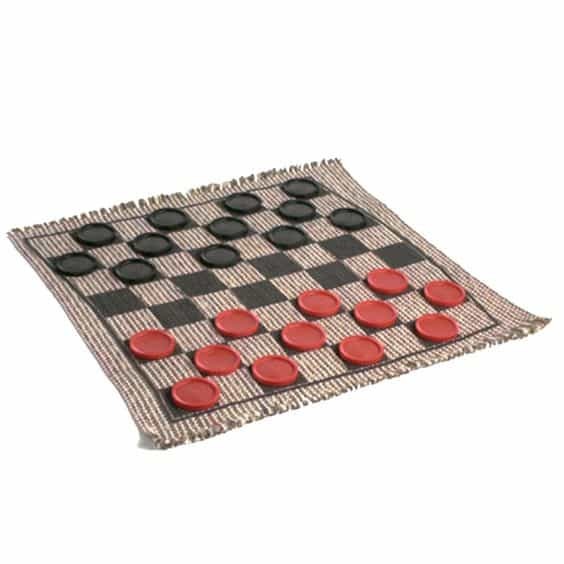 This fun 3-in-1 Jumbo Checkers set is a great way to say thank you to your host or hostess for inviting you to their home and putting together a wonderful holiday celebration. What I really love about this gift if that everyone can enjoy it! It can be opened at the party for a little entertainment and used all year long by the whole family. And don’t forget to treat yourself! You’ve worked hard to make the holidays special for the ones you love. While it’s easy to get lost in the hustle and bustle, don’t forget to treat yourself too. Even if it’s something little, you deserve to feel special! I’m not going to lie, getting a new piece of jewelry to wear during the holidays is one of my favorite ways to pamper myself. 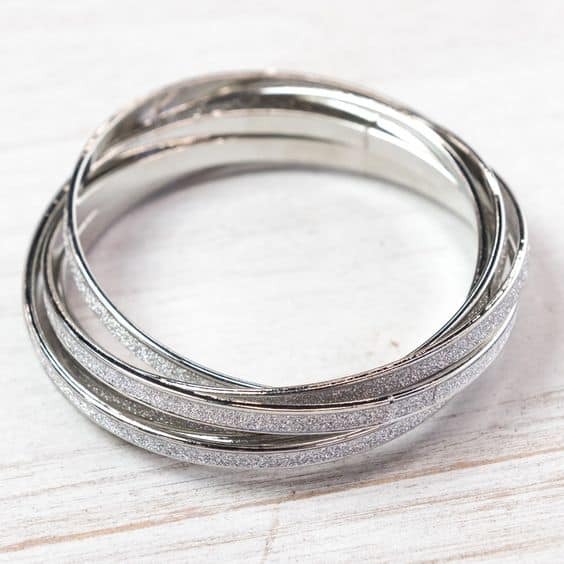 These Silver Glitter Bangle Bracelets are gorgeous! I can add them to my dress for a night out, or use them to add a little sparkle to my favorite sweater and jeans outfit. No matter the time of day, you’ll feel extra pretty with these bracelets on. 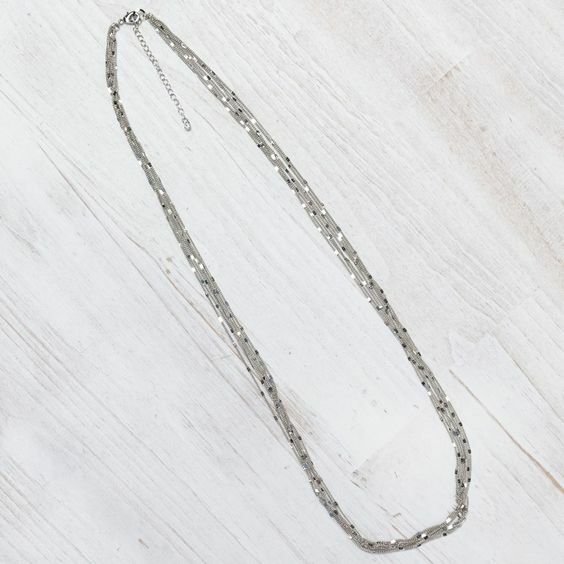 This Long Silver Layered Necklace is a must-have for any woman’s wardrobe. It goes with just about every outfit and can be worn in countless ways to create the perfect look. Slip this necklace into your stocking for a gift that’ll make you smile every time you put it on. Be sure to save these gift ideas by heading over to my Great Last Minute Gifts pin board. Simply repin these pins to save your favorite gift ideas! Pinterest is a great way to share a holiday gift list with friends and family. What are your favorite gift ideas that are always a win with family and friends? Great post! Very nice. Thanks for share. Going to the homes of friends and family is one of my favorite holiday activities. Not being the one to plan, cook, and cleanup is always a nice treat.